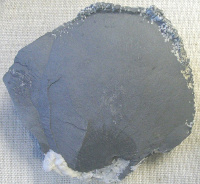 A stone sample of arsenic. Arsenic is a chemical element thatâ€™s notoriously deadly to humans. Exposure to arsenic can disrupt cell metabolism and lead to multiple organ failure, various types of cancer, and eventually death. Unlike many contaminants, it is a naturally occurring substance that can be released from sediment into the groundwater. Arsenic contamination in drinking water is a worldwide concern. Approximately 57 million people around the world are believed to be drinking water with dangerous levels of arsenic. In North America, those who live in Michigan, North and South Dakota, Wisconsin, and Minnesota are believed to be most at risk for arsenic exposure. Unfortunately, most refrigerator manufacturers donâ€™t list whether their refrigerator water filters are capable of removing arsenic from their water and ice dispensers. The good news is that most reverse osmosis water filtration systems are able to remove up to 98% of the arsenic content in your homeâ€™s drinking water.